Gentle readers, get ready for another long #a2council meeting tonight. The action kicks off at 6:00 with a special session to amend the Employment Agreement for City Administrator Howard S. Lazarus. The amendment would give Lazerus a 2.4% raise in line with the 2.4% inflation rate in the US last year. The main meeting starts at 7:00. Here's the agenda. 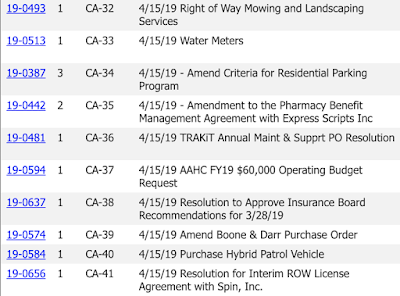 Things get started with an unprecedented 41 item consent agenda. CA-1 through CA-13 are street closures for various festivals and races. 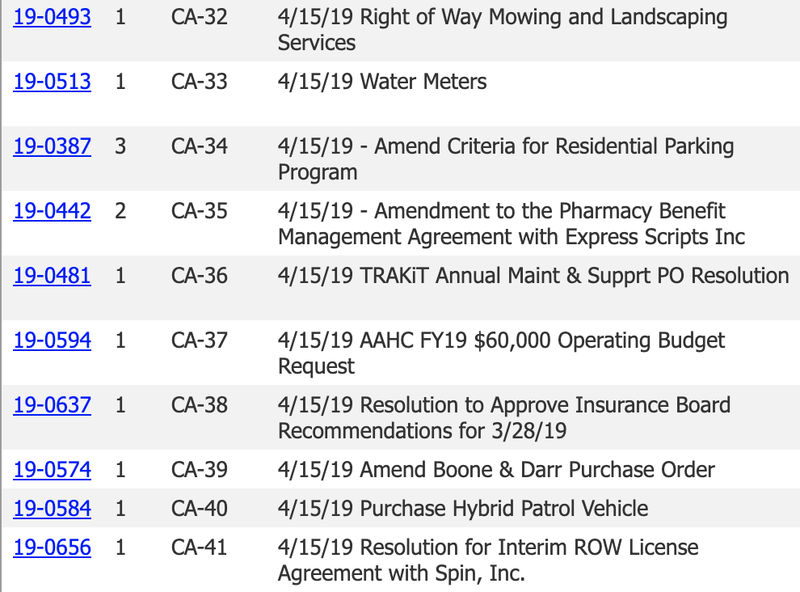 It will be interesting to see which items are pulled out of the agenda. There are 4 public hearings on the docket tonight. PH-1/B1 and PH-2/B2 deal with two proposed downzonings. PH-3/DB-1 is for the annexation of a township island on Newport Road. PH-4/DB-2 is about the site plan for 327 E. Hoover. This is the old Purchase Radio building and the proposal is for a 4 story apartment building with 6 units and retail on the first floor. This is coming to council with a recommendation of unanimous approval from the Planning Commission. On to ordinance first readings! C-1 and C-2 are annexations of township islands. C-3, C-4, and C-5 are on water, sewer, and stormwater rates respectively. Given the row over the new water rate structure, C-3 might see CMs jockeying a bit. On to the spiciest issues of the night. DC-3 is an override of the Mayor Taylor's veto from two weeks ago. It is unlikely this will get the 8 votes it needs to pass. Nevertheless, you can expect CMs to take this opportunity to air their arguments. DC-5 would revert residential water rates to a three tierd structure from the recently adopted four tier structure. Essentially this would reduce the rate for the households that use the most water and increase the rate for those that use less. You can read more about the 4 tiered structure here. The water rate restructuring has been pretty controversial. In my understanding to get into the top tier of the 4 tier system, you would need to be filling a swimming pool or watering your lawn regularly. Taking water that has been rendered safe for human consumption, and then dumping it on the ground in large quantities is not a good use of resources. We should price our water so that the volume needed for daily living is inexpensive (or free) while larger volumes reflect the cost of this precious resource /soapbox. Finally, we have DS-1 a resolution to establish a public hearing for the Northside Steam Safe Routes to School Sidewalk Gap Special Assessment. This item was pulled off the consent agenda at the April 1st meeting. There is a lot of pushback from the people who would have sidewalks built in front of their houses and thus would be assessed for the construction of said sidewalks. At stake is $400,000 in grant money for funding the sidewalks. It will be interesting to hear the sides of this debate. Elsewhere in the agenda, there is a potential rebirth of the Water Hill MusicFest (DC-4). Gentle reader, what items are you most excited for? Make sure you tune in tonight at 6 and at 7 to watch CTN's live stream and follow the blow-by-blow action on #a2council hashtag on Twitter.